The W. Bruce Lincoln Endowed Lecture Series brings to campus distinguished scholars who address topics of interest to both the academic community and the general public. The lectures engage key issues and are often interdisciplinary, in the spirit of Professor Lincoln’s research, writing, and teaching. 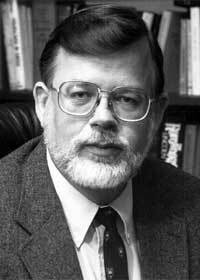 Bruce Lincoln taught Russian history at NIU from 1967 to 1999, while earning recognition as one of America’s leading experts on Russia. The recipient of many national grants and awards, he published twelve widely acclaimed books on Russia, several of them skillfully crafted for general readers. Two were selected for the Book-of-the-Month Club; five became Main Selections or Alternate Selections for the History Book Club. Several are available in various foreign languages. “I have become convinced that the historian who writes only for other specialists neglects an important part of an historian’s broader task,” observed Lincoln in the 1970s. “I [began] to write for a broader audience in the hope that my efforts to explain Russia’s past may enable readers to better understand Russia’s present.” (New York Times, April 14, 2000). 2014 - Deborah Cohen, Peter B. Ritzma Professor of the Humanities, Northwestern University. 2015 - Max Essex, Mary Woodard Lasker Professor of Health Sciences, Harvard. Checks payable to the Northern Illinois University Foundation, with a notation in support of the W. Bruce Lincoln Endowment.